VIZ | Blog / Feel the Power Ripple Through You! Feel the Power Ripple Through You! 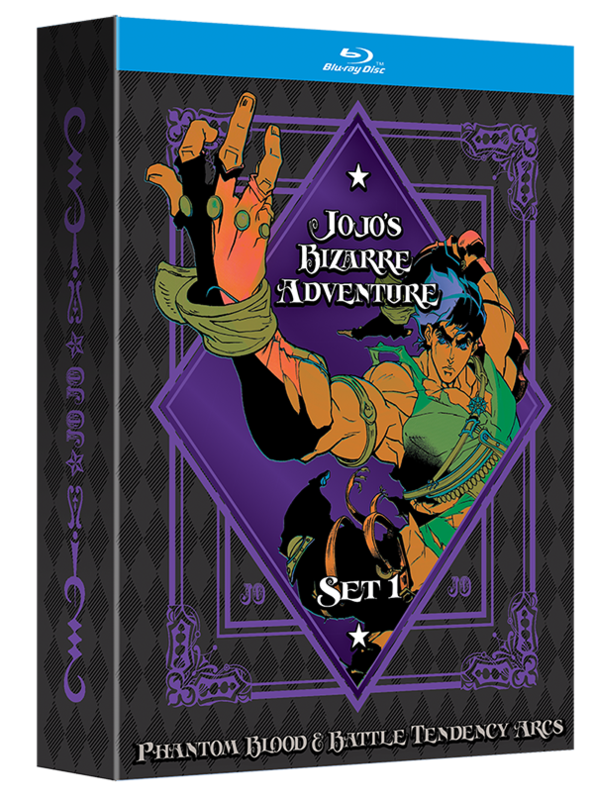 JOJO’S BIZARRE ADVENTURE comes charging onto Blu-ray in a set worthy of the Joestar clan! It looks like Anime Central has become the place of choice for glittery and over-the top announcements! You may remember a certain bit of magic from three years ago, but today, we have something different but just as avant-garde and shiny! 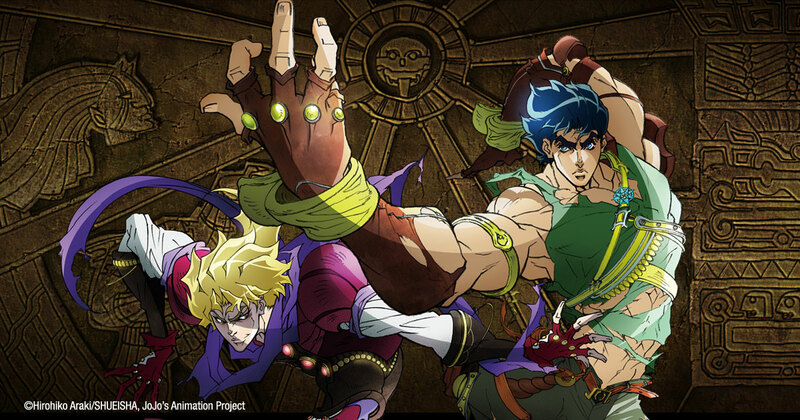 Of course, I’m talking about JOJO’S BIZARRE ADVENTURE and the whole team has been working their tails off to make the Blu-ray release something even the most discerning fan of the Joestar clan would be proud to own. After the resounding success of the new hardcover manga editions, it was our goal to make the Blu-ray sets just as fabulous and worthy of your shelf. If you were at our panel at Anime Central, you got the first look! 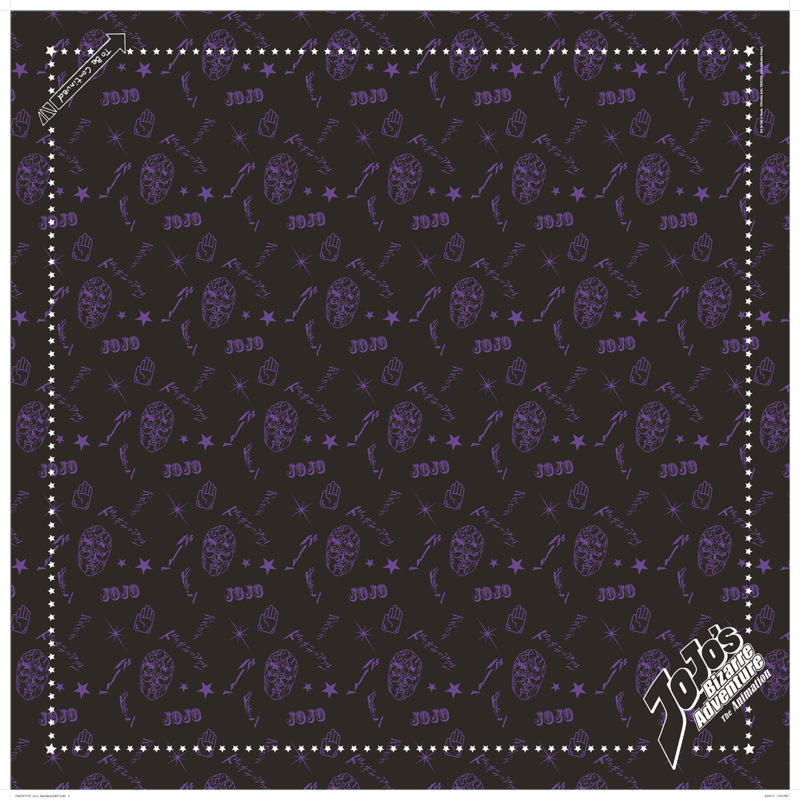 Better still, if you pre-order from RightStuf while supplies last, you’ll get a fashionable and exclusive JOJO’S Word Effects print cotton bandanna. Take a look! 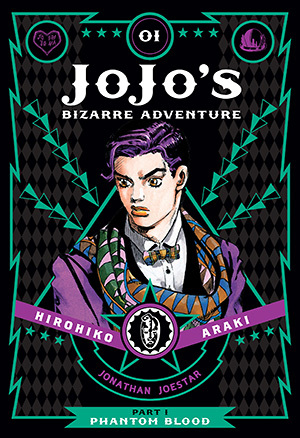 if you haven’t been able to pick up the JOJO’S manga yet, RightStuf has volumes on sale for 40% off as well! There’s never been a better time to stock up. What are you waiting for? Be sure to grab yours before Dio snatches it away!